ARC Super Coolant UNIVERSAL - Dezod Motorsports Inc - Home of the automotive performance enthusiast since 2002. 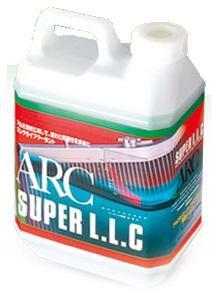 ARC Super LLC (Long Life Coolant) is ideal for hi-performance aluminum radiators. Anti corrosion inhabitants guarantees long term performance and reduced temperature insure peak performance. The superior performance of the ARC Super LLC Coolant is GT Championship race-proven and ready for your vehicle. ARC Super Racing Coolant prevents power loss of engine regarding cooling as importance. A coolant for race to change circuit driving in summer. It was developed as a coolant for summer. Antifreezing temperature is set at 0℃ for obtaining a specification of cooling as the first priority. Further, it has an excellent rust proof performance, and prevents occurrence of cavity erosion-corrosion.